Public lands are a gift for which all Americans should be grateful, and Steven Davis, a professor of political science and environmental studies, believes these lands should remain public. He builds a thorough argument in his impassioned treatise, In Defense of Public Lands, in which he views the public-versus-private debate from both sides. Davis begins by dramatically calling attention to the vast amount of public land in the United States—almost thirty-seven percent of total land mass. He then contrasts the ownership of this land by state and federal governments with the desire to privatize it. 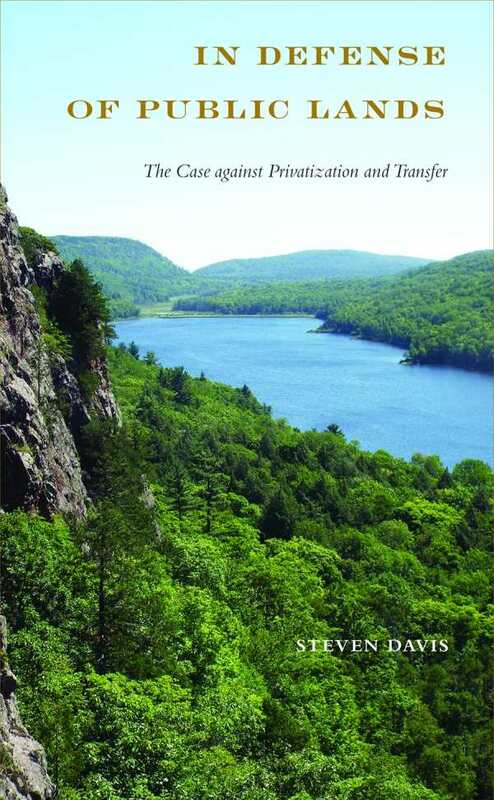 The author does an admirable job of positing the arguments of privatization proponents before devoting the remainder of the book to building a strong case for keeping land in public hands. The economic argument is particularly compelling; the book cites “meticulously calculated ROI studies” from the Trust for Public Land, indicating that the ROI for state land acquisition programs ranges from 400 to 1,100 percent. Davis doesn’t stop there; he also presents lucid ecological and political arguments in support of public lands. This is a convincing and fervent plea for the country’s public lands, which the author calls “a unique treasure and the envy of the world” to be preserved.